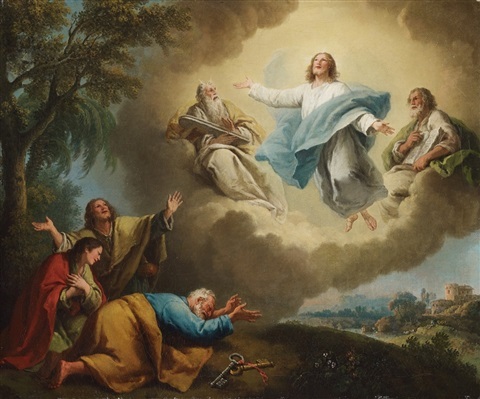 The Transfiguration of the Lord By Fr.Michael Barrow, S.J. ​This Sunday we celebrate the feast of the Transfiguration and it is worth reflecting that what happened to Peter, James and John sometimes happens in our own lives. They knew Jesus well, they enjoyed his company and they thought the world of him. Then suddenly one day he let them see what he really was, not just a human being but Almighty God in all his glory. In our own lives there are times of Transfiguration, occasions when something happens which takes us out of this world – provided we are open to see it. The ordinary world around us, both in nature and in the lives we lead, has within it the energy and power of God. Occasionally this is revealed to us, sometimes at a wonderful event like a marriage or a birth, sometimes for no obvious reason our heart is touched and brings alive an energy and feeling that we hardly knew existed. We needn't wait for a Transfiguration for God to reveal himself.The wonderment of a new-born baby may just be wonderment and joy or it may also become a vision of the power of God.The awesome realisation that someone loves you and thinks the world of you may be beautifully human or, more than that, the touch of Almighty God. Even the energy and playfulness of a young puppy can awaken in us the joy and playfulness of the nature of God. Or do we simply think of God as a lovely kind person who never smiles and laughs? The Transfiguration gave the three apostles a glimpse of the underlying reality that would take them through the horror of the crucifixion. If that is to happen to us, then we need to look for the presence and a touch of God in the ordinary daily joys and sorrows in our lives. 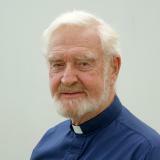 In that way we will be open to recognise Christ when he is unexpectedly transfigured in front of our eyes.